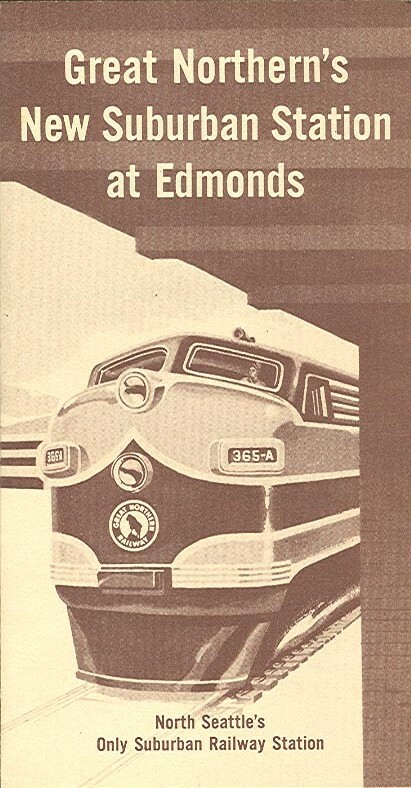 This is an undated brochure (approximately 1957/1958) published by Great Northern Railway to announce the opening of their new depot in Edmonds, Washington. 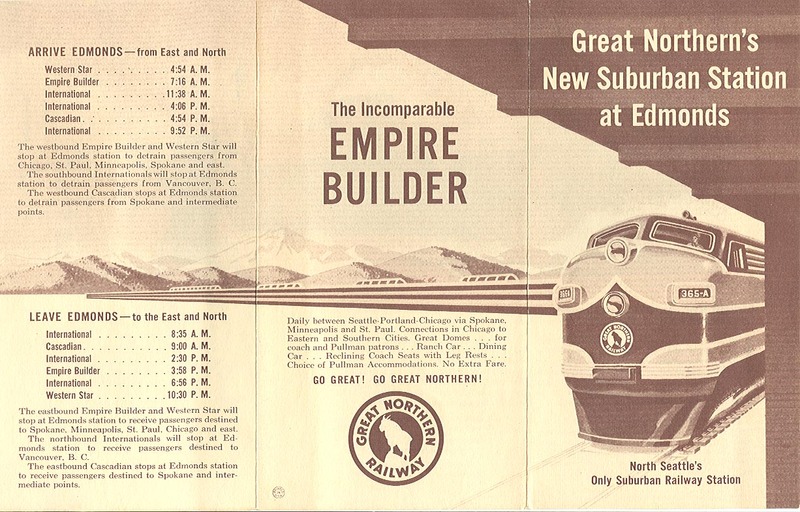 Front cover with train schedules, connections and drawing of the Empire Builder. 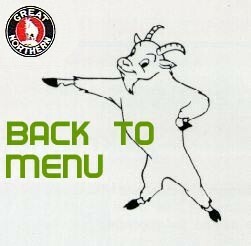 Train schedules match 1957 GN system timetable. 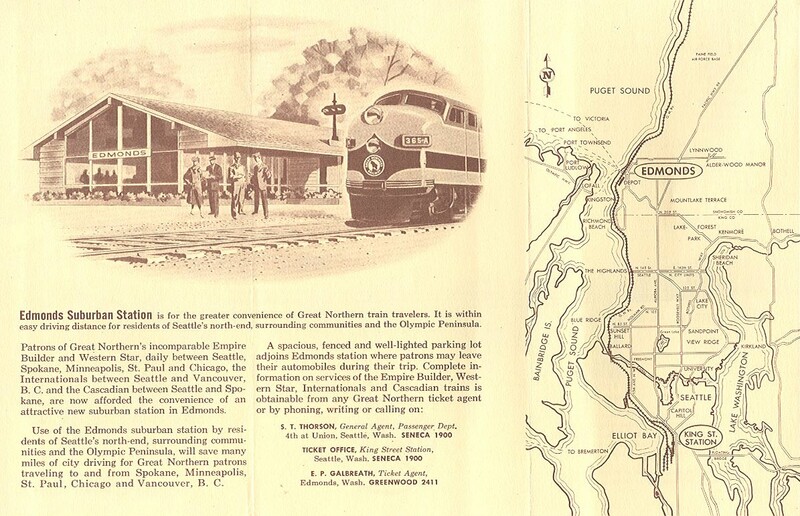 Back cover with accurate artist's drawing of the new Edmonds depot with GN EMD F unit pulling up alongside. Also includes map of north side of Seattle and location of depot. Courtesy of Guy Baxter comes this ad for the opening of the depot - Monday, January 7, 1957.